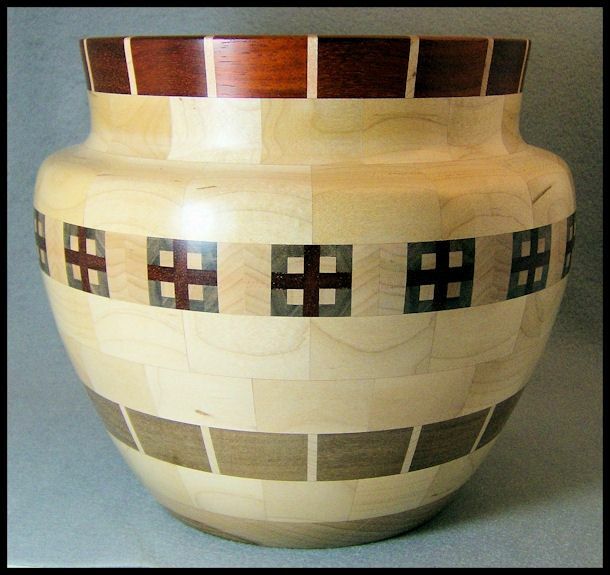 The Arts & Crafts inspired segmented woodturnings are unique designs that I have created. 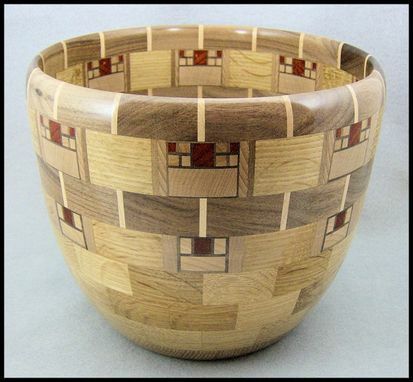 Using specialized segmented construction techniques I am able to produce these designs which are not limited by traditional woodturning constraints. The designs are enhanced by the use of various wood species and the ability to introduce shapes and patterns into the form. and are signed and numbered. 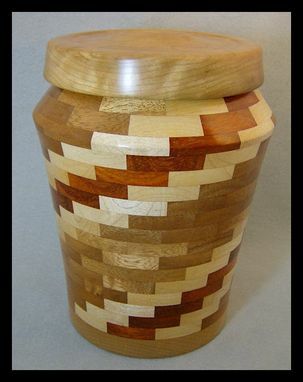 The Urns have been created as unique keepsake pieces. 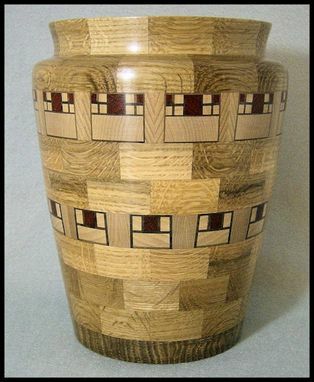 Each Urn is a work of love and respect and is meant to remind us of our departed. The urns can be personalized with laser engraving. Dimensions: Varies according to shape and style. Typically 8" to 12" high by 6" to 12" in diameter.